30 cubic feet (i.e. 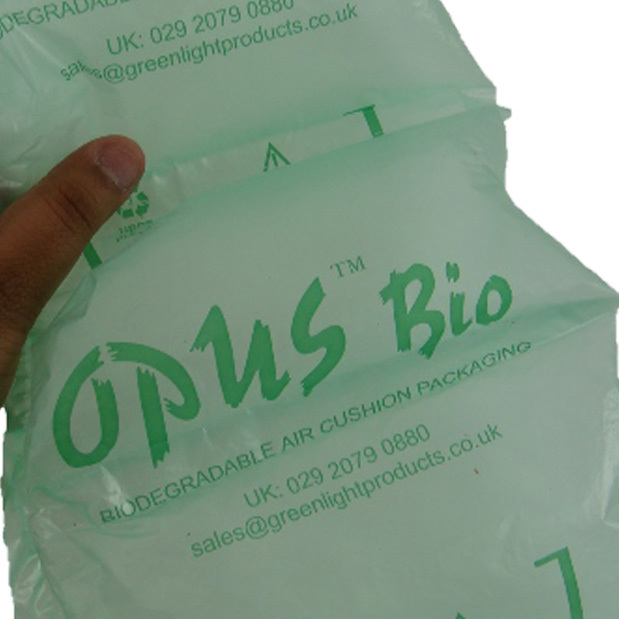 2 bags of 15 cubic feet) of pre-filled biodegradable air pillows, branded by Opus Bio. Also known as air cushions, these provide excellent shock absorption for goods in transit, and are great for filling the gaps/voids in your parcels as a result, helping to avoid any damage to the goods. The size of each pillow is 100mm x 200mm and there are approximately 600 air pillows in each 15 cubic foot bag. These are high quality UK manufactured air pillows and are 100% biodegradable and environmentally friendly.